A critical component of any Lync deployment is the deskphone. While some users may be comfortable with using a headset/PC combo as their primary telephony interface, I've found that most users still prefer a deskphone. However, getting a Lync deskphone to work with Lync can be a bit tricky if you aren't diligent about following Microsoft best-practices to the letter. 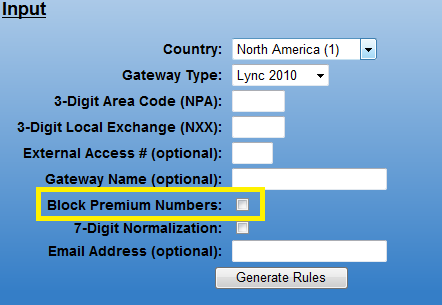 You may have a Lync environment that works perfectly well for computer-based Lync clients, but you may come across various connectivity issues when you plug in a Lync deskphone that does presence and Exchange calendaring. I recently came across a client who were having Exchange connectivity issues with their Polycom CX600 phones. The Polycom CX600 is likely the most popular Lync deskphone. It provides a very slick interface into Lync and Exchange so you can see your presence, contacts and upcoming meeting information. It is also very cost-effective compared to other similar products. Microsoft Exchange integration unavailable. Connection to Exchange is unavailable due to invalid network credentials. The CX600 uses Exchange Web Services (EWS) and autodiscover to find the connection to Exchange. If there are issues with either service, it will pretty much guarantee that the CX600 won't connect. I verified that both EWS and autodiscover were working properly. When I reviewed the certificate loaded on the Exchange Client Access Server, I saw that the common name (CN) was set to their public domain (ie. contoso.com). The Subject Alternate Names (SAN) included all the required names. Microsoft Lync documentation recommends that you do not use certificates with the CN set to a wildcard domain name. You CAN use wildcards in the SAN, but the CN really should be a valid name. In this case contoso.com is the same as *.contoso.com. The client replaced the certificate with one whose CN matched the externally accessible name of the CAS server (owa.contoso.com) as reported by Exchange. They issued an IISReset, restarted the CX600 and the error went away. They now have full connectivity to Exchange via the CX600. I've seen variations on this many times on both Exchange and Lync. If you're only using Lync PC clients, you may never notice any issues, but as soon as you bring deskphones and even mobile phones into the mix, these sort of things often come up. So as a general rule, if you're creating certificates for Lync or Exchange, DON'T use a wildcard as the first name. I'm always on the lookout for ways to improve the Lync Dialing Rule Optimizer. I got a request from a frequent user to add an option to block premium rate phone numbers. Premium rate phone numbers are numbers that charge a higher than normal fee for calls...like those TV ads that promise incredibly hot women in bikinis are waiting to talk to you for only $4.99 per minute. The usual way to block these numbers was to program an exception for them in the relevant route regular expression. I was on my way to figuring out how to programatically do this through the Optimizer when I stumbled upon this little gem of a post from Brian Rubart's UC Blog. He came up with the brilliant idea to use the Lync Announcement and Unassigned Number service to block these numbers. So, rather than just returning an uninformative fast-busy when someone tries to call a premium rate number, the Announcement service will tell the user why the call cannot be completed. The only downside I can see to dealing with premium numbers in this manner is that its a setting that will affect all users. There isn't a way to allow specific people to call premium rate numbers. In the latest revision of the Dialing Rule Optimizer, you now have the option to use the Announcement service to block premium rate numbers. All you need to do is to put a checkmark beside Block Premium Numbers. It will create the relevant Powershell commands at the bottom of the resulting PS1 file. The Powershell commands will create the announcement using text-to-speech synthesis in the language of the selected country. You can modify the announcement text as you see fit. You can also modify the default premium number ranges or add your own if you wish. ...and then assign it to the announcement using the -AudioFilePrompt switch in the New-CSAnnouncement command. You can also send blocked calls to a SIP URI like sip:yournamehere@contoso.com or a phone number like "sip:+14255551212@litwareinc.com;user=phone", by using the -TargetURI switch in the New-CSAnnouncement command. That way, you can shame your users verbally when they try to call blocked numbers. Fun times! If you have any suggestions for additional features, corrections to the premium number list, or if you can help me correct the Google-translated text I used for the other languages supported by the Optimizer, please drop me a line.